No matter the situation you are facing, it is always best to remain calm. Not only does a calm leader help to create a calm office, remaining calm puts you in the best mindset to make big decisions. If you are feeling uneasy or anxious, go for a walk and come back to your work when you are feeling calmed down. Although you are tasked with making impactful and important decisions daily, it is important to maintain perspective. You are only human and everyone makes mistakes. You may make the “wrong” decision every now and then, but if you maintain a good perspective on the picture as a whole, you will see how unimportant that is. Without trust between a leader and their employees, a company cannot succeed. Trust the team you surround yourself with. If you are confident in the employees you choose to hire, you should feel confident trusting them to carry out tasks independently. Self care is crucial in every aspect of your life, but especially when it comes to your work. Take the time to care for your mind and body. This may be through exercise, meditation or simply spending an hour alone with a book every night. Do what it takes to make yourself feel your best. This will translate into a calm and productive work environment. Your employees will sense your contentedness. If you ignore your health, the stress will manifest. We all want to do big things with our lives and with our careers but some people get stuck on the way there. 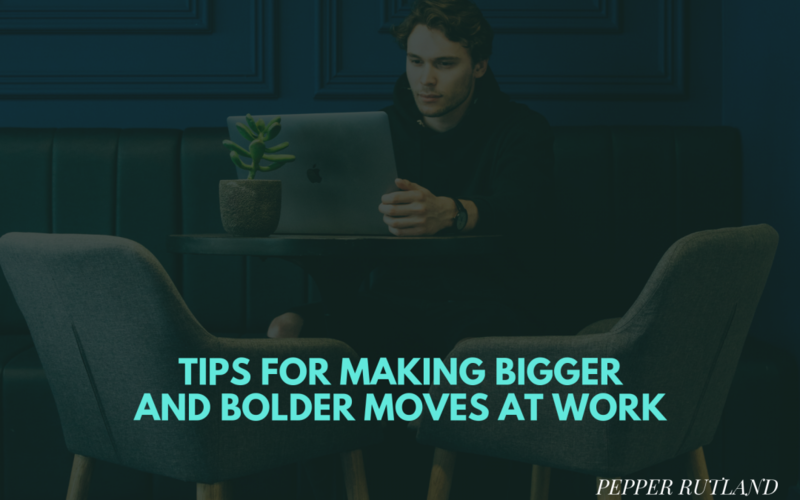 Implementing certain methods and ways of thinking can help you make bigger and bolder moves in your career. Remain calm and maintain perspective, no matter what the situation may be. Always trust the team members that you surround yourself with and remember to prioritize the health of your mind and body.